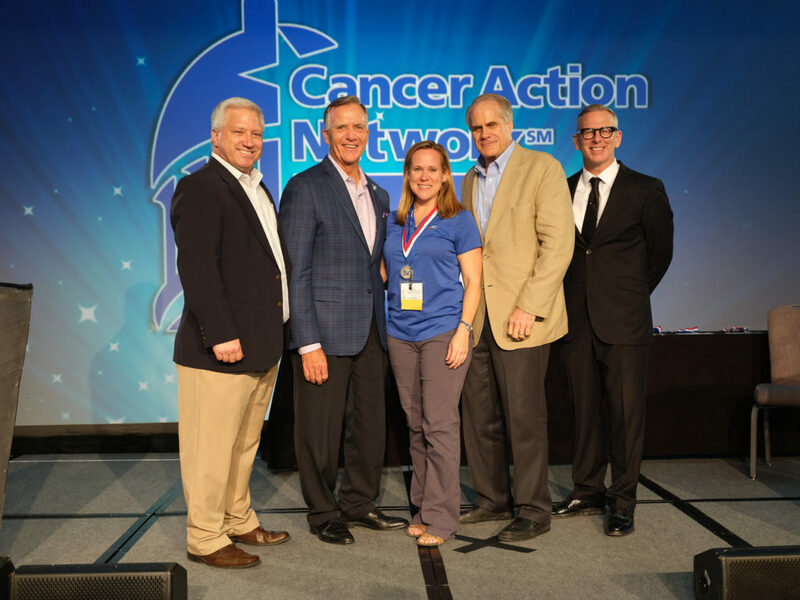 St. Augustine resident and University of North Florida alumna Heather Youmans was recognized as the country’s top government relations professional by the American Cancer Society Cancer Action Network (ACS CAN) in honor of her exceptional work advocating for cancer-fighting legislation. ACS CAN, the advocacy affiliate of the American Cancer Society, presents the award each year to a government relations professional who has worked tirelessly to make a significant, lasting impression in cancer-related public policy. Youmans had a particularly strong legislative session in 2018, highlighted by the securing $1.83 million in recurring appropriations for Florida’s Breast and Cervical Cancer Early Detection Program. She also led efforts to secure $23 million in appropriations for the state’s peer-reviewed, competitive biomedical research programs, which have a focus on cancer and tobacco-related illness. Earlier this year, Youmans also led the public health community in opposing a proposed ballot measure introduced by the Constitutional Revision Commission that could have diverted millions of dollars from the state’s Tobacco Free Florida program. She helped organize thousands of volunteers to defeat the proposal from being added to the November ballot. The award was presented to Youmans on September 23 in Washington, D.C., as part of the annual ACS CAN Leadership Summit and Lobby Day. Nearly 700 cancer patients, survivors and their loved ones traveled to the nation’s capital to meet with their elected officials and urge them to make cancer a national priority. ACS CAN, the nonprofit, nonpartisan advocacy affiliate of the American Cancer Society, supports evidence-based policy and legislative solutions designed to eliminate cancer as a major health problem. ACS CAN works to encourage elected officials and candidates to make cancer a top national priority. ACS CAN gives ordinary people extraordinary power to fight cancer with the training and tools they need to make their voices heard. For more information, visit acscan.org.